"We’ve been busy planning for 2019, thinking a lot about how we will apply lessons from the Grenfell Tower tragedy and the government’s proposed social housing reforms. Being a good landlord that does the simple things well: good repairs, well looked after estates and first class customer service. Providing safe homes and promoting successful communities: working with you to make great homes and communities, supporting you to step up and get involved. Investing money wisely: increasing council housing in Sutton through buybacks, spending money in line with key priorities and working with local partners. "We are expanding the SHP New Deal and increasing the services on offer at our community hubs. "To make this happen, we need you to work with us and get involved more than ever. Could you organise an event in your community, take part in a workshop or join a residents’ association? "Speak to your Housing Manager about ways to get involved and tell us how we can support you to change your community for the better. I look forward to working with you in 2019." Our repairs service is central to our new way of working, the SHP New Deal. The deal is all about working together, taking responsibility and building strong, successful communities. We want you to feel proud of the home you live in. Keeping it in good condition is a joint efford between us and you. We understand there have been issues with repairs in the past and we’re working to improve. 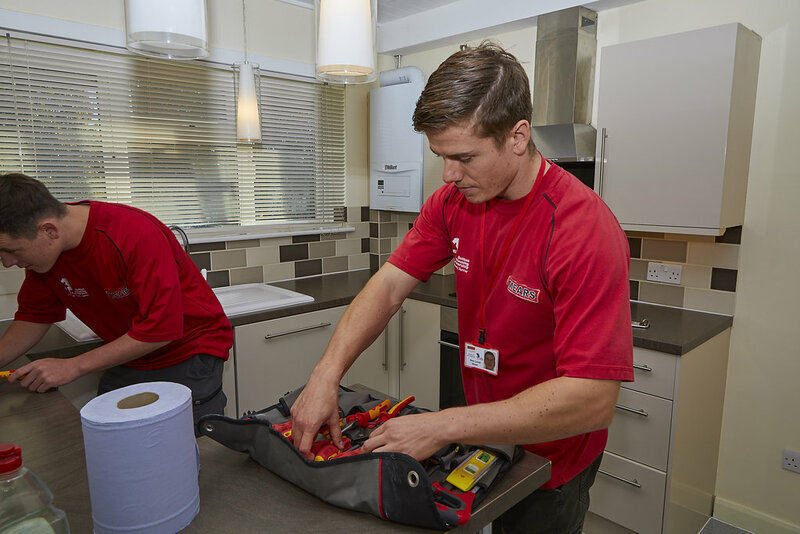 We're responsible for reliable repairs and helping to keep your home safe by carrying out regular safety checks. There are also repairs you are responsible for and can do yourself, without having to wait. To make these responsibilities clearer, we've written a new repairs guide. Clearer responsibilities around mould and condensation, pest control, glazing, smoke alarms and accidental damage. Repairs timescales that are easier to understand so you’ll know where you stand. A recharging policy that is fairer and easier to implement. This means we’ll have more money to reinvest into good homes and thriving communities. You can check the repairs guide whenever you’re reporting a repair, so you know exactly what to expect. We’ve put links to some handy ‘how to’ tips on this website, so the next time you’ve got a simple repair to do you can go there for help. Read the new SHP Repairs Guide. Want to keep up with the latest news from SHP? Share your email address for regular updates, or follow us on Twitter and Facebook. The next Sutton Federation of Tenants and Residents Associations (SFTRA) general meeting will be held on Thursday 2 May 2019. SFTRA represent the views of SHP tenants across the borough and its meetings enable you to get more involved in how your home is managed. All tenants and leaseholders are welcome to attend. For more information contact Colin on 020 8915 2348 07725 812 626 or at colin.sftra@gmail.com. Where required, transport may be arranged to and from the meeting. Fire kills - how can you stay safe? It is no secret that fire kills, but did you know that last year 248 people lost their lives due to a fire at home? Many of these deaths could have been prevented. Fire in your home can start from something as simple as a candle, cooking left unattended, hanging clothes on electric heaters, overloaded plugs and even a cigarette. 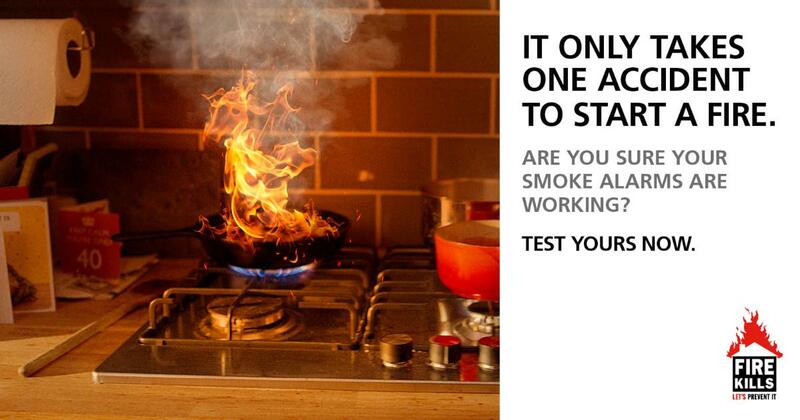 Did you know you are over 7 times more likely to die in a fire in the home if there are no working smoke alarms? They only take a moment to test but they give you and your family the best chance of surviving a fire. You can book a free home visit from the London Fire Brigade for personalised advice on how to keep your home safe from a fire, they can also help with fitting free smoke alarms. Book a free home visit here. We held our biggest Scrutiny Boot Camp yet in March, in partnership between SHP and SFTRA. Residents and staff came together to talk about anti-social behaviour, repairs and our independent living service. The notes from the day are below. Our next Scrutiny Boot Camp will be held on 8 June - make sure you've shared your email address with us to receive more information. Anti-social behaviour Residents would like us to consider our approach to laminate flooring and ensure that residents are aware of their obligations to provide appropriate floor coverings to minimise noise related complaints. This will be considered in accordance with the review of the tenancy conditions. Lots of cigarette butts are being dropped on estates. We have arranged for cigarette bins to be placed at the entrance of the blocks discussed during the workshop - contact us if this is an issue in your area. Residents would like to see improved signage around dog fouling on Mill Green. The Housing Manager for Mill green will be asked to lead on signage and communication. How is SHP reviewing the good neighbour agreement, and will this extend to the managment of sub tenants of leaseholders? The good neighbour agreement will be discussed/reviewed at the next workshop (subject to agreement). We will then look at extending this to new leaseholders with a requirement to agree/sign. Residents thought our 'good neighbour' reminder cards needed to have instructions on how to contact us if you would like to discuss the card. We'll add this information so that the cards work as a way to encourage everyone to be mindful of their neighbours. Repairs Repairs aren't being done right first time. To get repairs right first time we need to recruit and train good operatives. We're working on an improved recruitment and vetting process so our teams function at full capacity. When a repair cannot be done first time, or after a surveyor’s inspection, the communication about what will happen next is often poor. Residents at this session had not received calling cards or a phone call following an incomplete repair. We're working with Mears to make sure calling cards and phone calls happen every time. SHP has agreed, in the interim to recruit a temporary resource to support this activity and calling ahead tasks. This work will be supported by a newly created role which will be responsible for making sure we use and record accurate information. Mears' operatives sometimes fall short of our customer service standards. This feedback has been passed on to Mears and we're meeting with senior managers to discuss. It is recognised that whilst operatives have all received refresher 'inductions' and training, a number of them require additional management support. The new Mears Senior Supervisor will work alongside SHP colleagues to ensure that customer service values are seamless across both organisations. Mears to increase the % of post-inspections undertaken by managers/supervisors and share outcomes with SHP. This is to be reviewed weekly. Fencing work and some other repairs are now being batched up into a programme of works so that costs can be contained – residents should be advised of the likely timescales for the batched work to be completed. 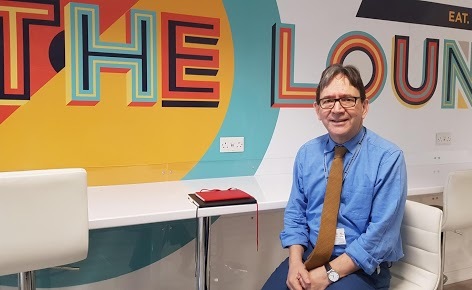 Resident feedback indicated our process is not seamless - Dave Routley and Michael Moore are arranging to meet with Sharon Kelly and Emma Bentley to review existing working practice. Call centre staff sometimes do not understand the repair required. There is an ongoing project to improve this. The contact centre manager listens to calls with call handlers and discusses any issued identified. Diagnostic tools are not used currently in the call centre, but the New Deal IT workstream will review this. This will also form part of our on-line reporting tool for residents. Texting system was praised as very good by residents, although some appointments are not being kept. We have identified issues with timekeeping and are closely managing this aspect of operatives' work, which is part of the SHP New Deal behaviour and culture workstream. Planners, Supervisors and the Call Centre Team Leader need to manage this. The Mears General Manager and Team Leader will review this matter weekly and take corrective action. An example was given of a Mears operative visitng the wrong property to carry out a repair. This will be addressed at a team meeting for Mears operatives. Door closers need to be fit for purpose. Mears will work with their procurement team to review door closer purchases and agree a choice of door closers with for standardisation and confirmation of quality/suitability. SHP will review customer needs as to whether assisted operating closers are required - to be picked as part of the every visit matters programme. Resident home contents insurance. SHP to promote the availability of the Council’s insurance offer to residents at RA meetings, online in hubs. Some residents are not sure what repairs they are responsible for, or what certain mechanical and electrical componants are for. The new SHP Repairs Guide will answer some of these questions. We will also consider a new diagnostic page on the website / in Homefront identifying key components. Residents asked for an update on external lighting at Shanklin Village (capital investment programme). Dave Siggery will provide a written update to all residents regarding current position with procurement and delivery process. A dilapidation process is being written for all estate lighting as there are various types of components across the borough. Leaseholder boiler servicing. Leaseholders can contact Smith & Byford directly. Will leaseholders be included in the every visit counts programme of home visits? Yes. A new position within the Home Ownership Team will work with leaseholders to undertake these visits and check home safety. Frequency of Independent Living Officer visits - should this be more than one a week? The HQN review is looking at the number of visits residents receive and the cost of changing these. Once we have the results of the review, we will consider the different options available. This session included an update on the Housing Quality Network (HQN) review of our independent living service and residents' views on the current service. Communication about the service - how will this be improved? We'll develop a plan to improve communications. The HQN review is still in progress, and we're currently carrying out a survey so that all independent living residents can feed into it. Once we have agreed proposals in principle, we'll start to communicate these to residents. Coffee mornings and surgeries are alslo being planned and publicised. Residents would like clarification around the service provided and difference between care and support. This will form part of our communication strategy, and our 121 meetings with residents. The quality of the service received from Eldercare - is this being reviewed? The performance of Eldercare will be reviewed as will the commissioning of the out of hours service. Residents should be able to change the day of their visit if necessary. This is already factored into the service, but will ensure this is offered to residents. Residents generally don’t feel that the service represents value for money – a breakdown of the what the charge comprises and how this money is spent should be provided. The current service provision and cost is based upon one visit per week. The HQN review of the service includes the financial model for increased visits. This will be considered more fully once SHP has the outcomes of the review. Are alarm cords being regularly tested and serviced in line with requirements? The alarm systems are being checked every three months. We are monitoring if any flats have not had these checks, as the check is recorded on the alarm system. New technology should be introduced as the existing systems are out of date. We are partnering a pilot with LBS for Mysense technology and this has been included in the SHP New Deal for Digital service offer. This is alongside the upgrade of alarm technology. Residents would like to know what the referral criteria are for Sutton Connect Information on Sutton Connect is available here and is available through Housing Managers.